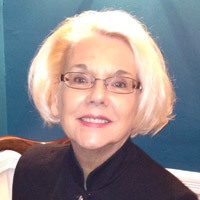 Karioth is an expert on grief, trauma, stress and compassion fatigue who counseled the survivors of the 9/11 terrorist attack on the Pentagon and children who lost parents in the World Trade Center, and can address the ways in which the nation grieves in the aftermath of a violent attack. Kleck is an expert on gun control, deterrence, crime control and violence. Some of his recent research has found that higher general gun ownership rates reduce homicide rates, probably because the violence-reducing effects of guns among noncriminal victims and prospective victims outweigh the violence-increasing effects of guns among criminals. Mears is an expert on mental health, public opinion and other aspects of mass shooting tragedies. His research expertise includes juvenile and criminal justice policy, crime theory, public opinion, “supertax” prisons, mental health, religion, sentencing and reentry.